In order to become a medical professional, you need to know your anatomy. You can’t get a degree in this field without having to take a course or two in human anatomy. That applies to those who want to be dentists. 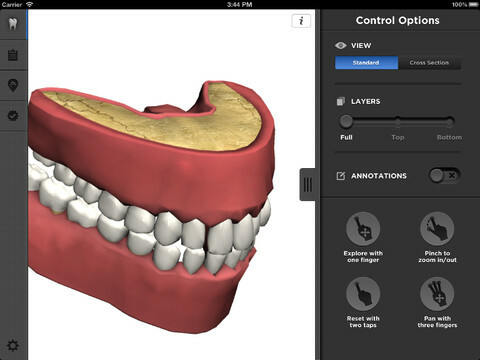 Apps such as DentalDecide for iPad help you get a better understanding of how our teeth work. DentalDecide has a beautiful user interface. It teaches you about dental anatomy and conditions. 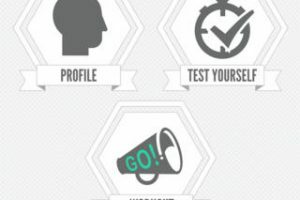 It also provides you with best practices and solutions. The app covers bridges, crowns, cavity, extraction, gum disease, root canal, implants, and everything in between. It provides you with information on each condition, symptoms, and treatments recommended for each condition. DentalDecide does take over 120MB of space on your tablet. But it has great graphics and useful information on dental anatomy. Whether you are a student taking an anatomy course or would like to know about how your teeth work, DentalDecide has you covered.